Unified Shader Model, it can make sense to design its computational units so that any of them can run any type of shader. 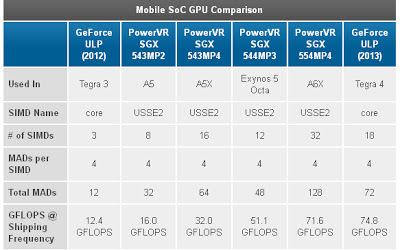 Unified Shader Architecture allows more flexible use of the graphics rendering hardware. For example, in a situation with a heavy geometry workload the system could allocate most computing units to run vertex and geometry shaders. In cases with less vertex workload and heavy pixel load, more computing units could be allocated to run pixel shaders. 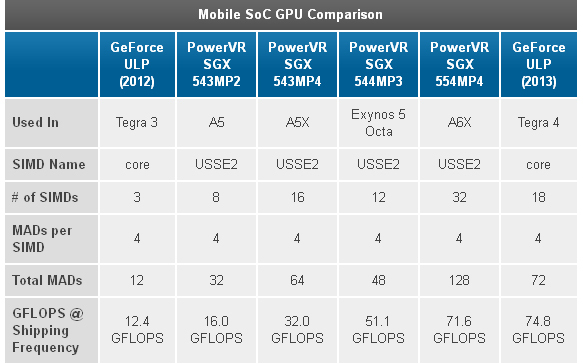 The GPU (Graphics Processing Unit) in the Tegra 3 Soc has 12 shaders. But, because Nvidia has not followed a unified-shader architecture in this ARM SoC like they've been doing in their PC and MAC discrete graphics cards, 8 of those 12 shaders are reserved for pixel work and the remaining 4 are for vertex.